Malaria, a disease that has been endemic to Mediterranean climates for perhaps millennia, was once known as the Roman fever. The marshes around the city of Rome did indeed prove fertile breeding ground for mosquitoes, the animal discovered to be the vector of the disease in 1900. Following the First World War, Italy became one of the principle centers of malaria research in the world as it embarked on a campaign to eliminate the disease, and countries with similar geographies such as Turkey looked to Italy as an example of how to combat malaria through a combination of swamp drainage, anti-malaria medications, and pesticides. 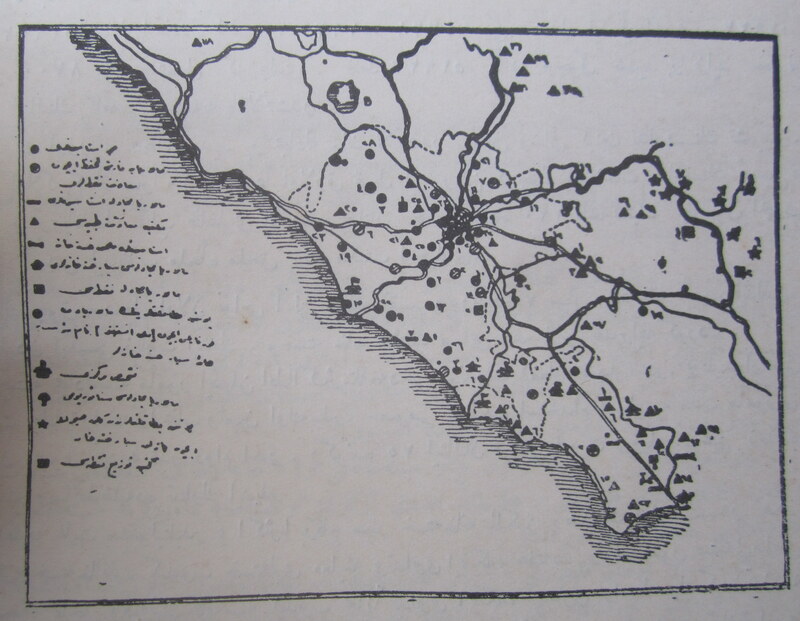 This map comes as a translated article in the Turkish medical journal Sıhhiye Mecmuası documenting the early-goings of Italy's battle with malaria. It is telling that Turkish scientists would be interested in translating such articles as they eagerly awaited the results of this unprecedented attempt to not just limit but eliminate malaria within the national boundaries of Italy. The black areas represent official malaria control areas declared as part of these efforts in 1922. 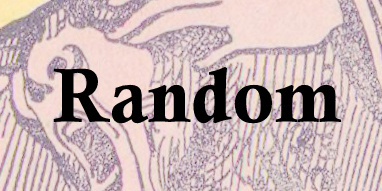 What they reveal is not entirely surprising. The low-elevation coastal areas of Italy were the principal areas where malaria was a threat. 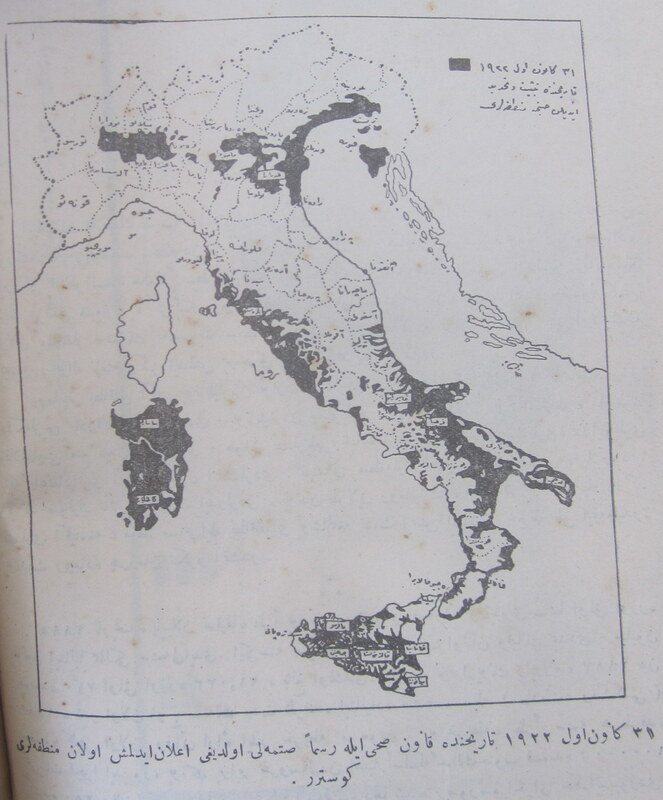 However, while the poorer and warmer south of the country was a natural area of focus for the fight against malaria, this map is a reminder that during the 1920s, malaria was still an issue in parts of the richer north near Milan and Venice and even surrounding the captial of Rome.